The flexibility to tailor Mardome Trade rooflights means an access hatch can be specified as the opening option providing safe, easy access to roof spaces for roof maintenance and other utility purposes or to open up roof spaces for terraces or roof gardens. The Mardome Trade access hatch rooflights feature internal opening mechanisms, hinged dome unit and, gas springs to facilitate a 90° opening and units come complete and ready to fit. When in the open position, the opened dome unit is supported by the gas struts. 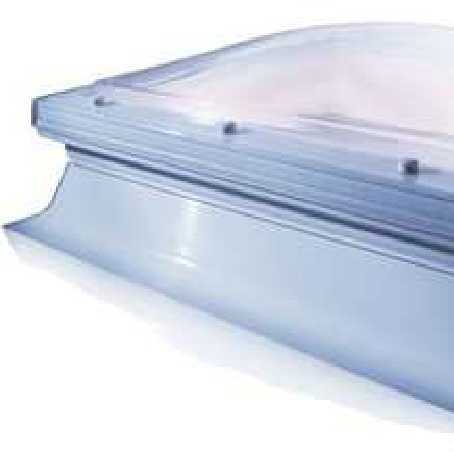 I would recommend your affordable products (Mardome Trade Dome with sloping kerb | MardomeTrade Access Hatch with sloping kerb | Mardome Trade - Access Hatch with sloping kerb, 900mm x 900mm) to anyone else considering this product, as it has been superb. Omega Build Shop | Mardome Trade Dome with sloping kerb | MardomeTrade Access Hatch with sloping kerb | Mardome Trade - Access Hatch with sloping kerb, 900mm x 900mm. You are viewing Mardome Trade Dome with sloping kerb | MardomeTrade Access Hatch with sloping kerb | Mardome Trade - Access Hatch with sloping kerb, 900mm x 900mm, buy online today!